Updated January 2017 - Please scroll down for photographs and details of all our projects. Between 2007 and 2013 details of all our projects were reported in detail with photographs in our newsletters which can still be seen on the Archive page. Since then, due to present lack of funds and restricted access to the villages, we had to suspend some of our projects such as the Family Sponsorship Scheme and the Training Centre for Women and Girls. As we are still optimistic for the future, those projects have been suspended not abandoned and we hope to be able to restart them then in the near future. 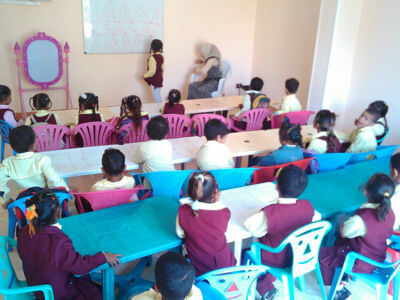 Offering free medical care to sick and disabled children was Little Stars first project and it began with us helping a clinic to the north of Qurna that was having severe financial difficulties. 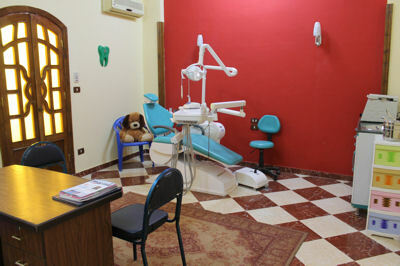 Support for this project was abandoned following indications of financial mismanagement and Little Stars developed a clinic of its own in rented accommodation near Qurna Hospital offering more modern and extended services including a dental surgery. 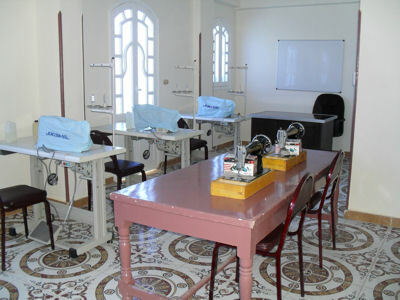 The Dental Surgery was financed by the charitable section of the British Embassy. The clinic was moved to its present position a few metres along the road in 2013 when we had the opportunity to rent a section of a new building which offered twice the space for exactly the same rent and on a nine year, rather than a five year lease. All rooms are scrupulously clean, bright and well equipped. 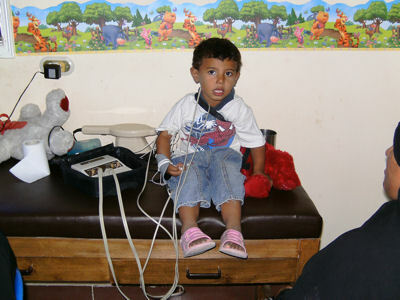 The Clinic and Dental Surgery are still fully operational and offer free care to all children who are in need of it. In attendance are three doctors - a physiotherapist, a GP and a Dentist (all female) - and a general nursing assistant. 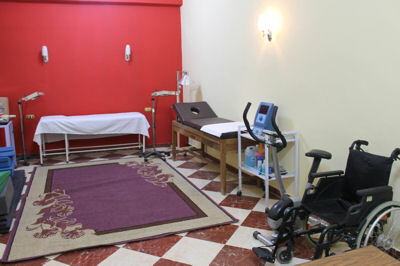 The Clinic is open in the late afternoon / early evening six days per week. (Closed Friday which is a holy day). The late opening is to avoid the heat that builds up during the day. This project was also started at the very beginning of Little Stars in 2007 when we purchased food parcels from the Egyptian Food Bank. The parcels were at a very advantageous cost but had severe restrictions placed upon who could have them. They could only be given to people who were registered with a local charity and had the appropriate metal stamp which meant that most of the widows we wanted to help were excluded. Following the discovery of a local scam where 50 food parcels per month that we have paid for were disappearing and were not being delivered anywhere, we left that scheme and decided to make up out own parcels which would be given to those we considered in need of help rather than those who had paperwork to tick the right boxes. The amount of food we give to each family is governed by the number of children in it. Before the Military Coup in 2013 we were delivering in excess of 150 parcels each month. At present, due to travel restrictions, we are only able to give food parcels to those families who are able to get to the clinic to collect them. (We are able to reimburse travel costs which are minimal). 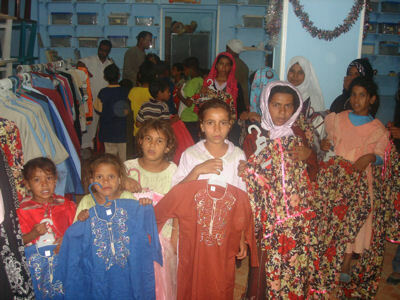 Along with food parcels we were able to distribute new clothes to the families along with toys and blankets. 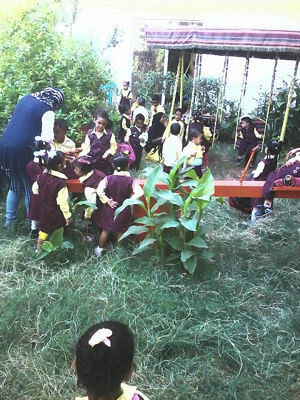 The Nursery School has two classrooms and a play area. 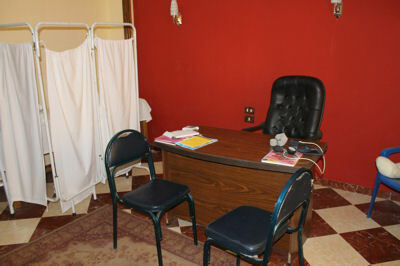 There is also a separate rest room for the use of any child who might feel ill or tired. The original Little Stars Nursery School was opened in a room next to the clinic that had been a small Supermarket. Unfortunately it had no outside access and there was no room for expansion. The Nursery School was able to take 20 children and was opened by Lady Carnarvon. Moving to the new premises which had two large classrooms, access to a kitchen and a large playroom meant that up to 50 children could be catered for. 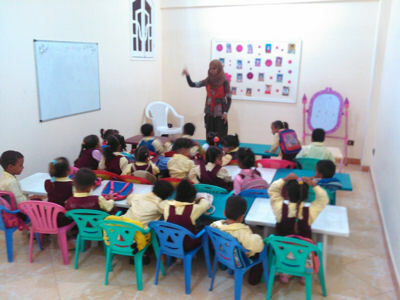 The children are chosen from the poorest families in the area and subjects follow the Egyptian National Curriculum. Little Stars provides each child with a full school uniform, change of underwear, books, back pack, pencils etc so that no child is left out. 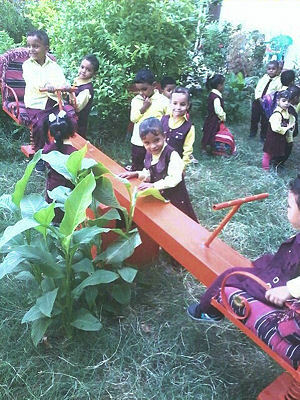 The Nursery School is very successful and has a long waiting list of children wishing to join. As a bonus there is a large garden for which the children have sole use that we rent from the landlord. The garden toys were funded by a large UK charity which wish to remain anonymous. 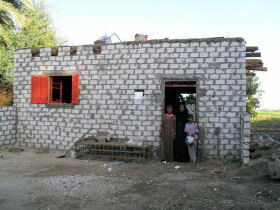 The Training Centre aimed to give women and girls skills that they could use to help provide for their families. 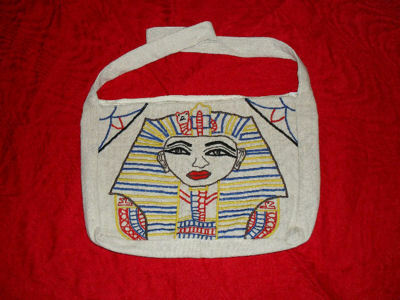 The courses offered were in IT, sewing and general literacy. All students who completed the courses were given recognised certificates of achievement and those who completed the sewing courses were also given a sewing machine and sewing kit with which to start small businesses in their community making and repairing clothes. The Centre was very successful but stopped taking new students in the summer of 2016 when funds became short. The decision to close the Training Centre was taken with great regret as it employed five women with families who would be unable to find other work. Everything is in place and simply mothballed with the hope that it might be able to restart operations in the autumn of 2017. 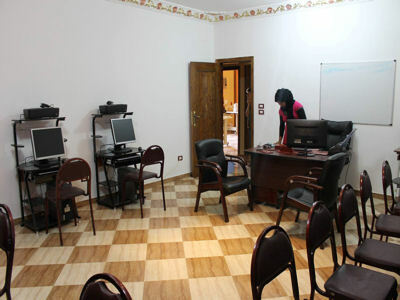 There is also a complete computer suite offering free tuition, (with terminals and printers for ten girls) where they can learn much needed IT skills to enable them to enter the job marker. By 2013 there were more than 60 families registered with out Family Sponsorship Scheme all of whom had UK sponsors donating £10 per month towards their care. 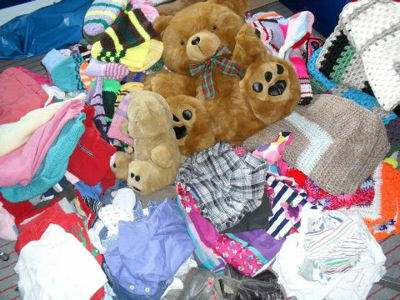 Several supporters were sponsoring two or three different families. All off he families were in desperate need of help. Over the years, sponsored families received food parcels but in addition were given clothing, beds, cookers, fridges and blankets and in the worst cases had their collapsing homes rebuilt. 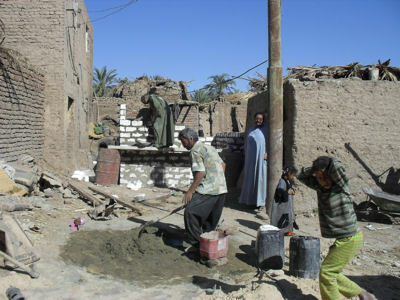 The Scheme was halted following the Military Coup when it became impossible for Little Stars representatives to travel to the villages. 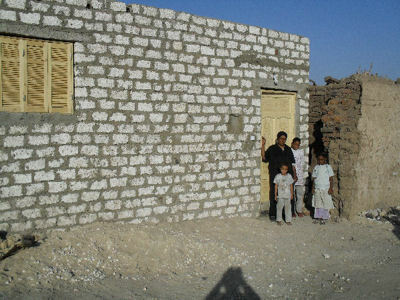 If the situation in Egypt changes then we hope that this scheme can be revived as it helped several hundred children. 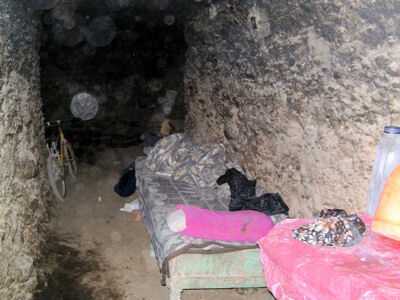 It is widely known that there the number of street children min Egypt could run into millions but few people relate the problem to Luxor. 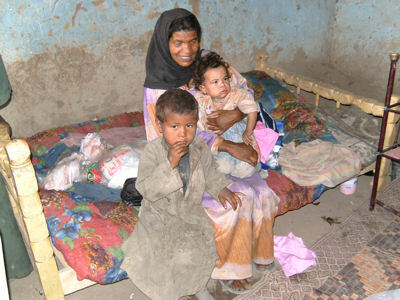 Egyptians are family orientated but there are less scrupulous families who move and leave their children behind for others to care for. 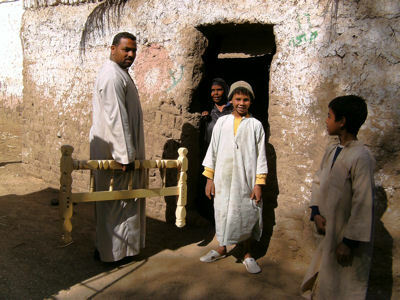 In the towns they could be found places in orphanages but those in the villages are just reliant on the kindness of neighbours Not all children respond to the closed societies of children's homes and so we believed there was a need for a drop in centre where Luxor's street children could get a hot meal and find a safe bed for the night when it was needed. Sadly, we have never had the funds to be able to create one. We could not have done any of this without your help and will not be able to continue without your support..